Elizabeth City, NC – Only a few short weeks before the smell of burnt methanol and dust floods the sky of Albemarle Speedway, a little dirt track just inside the boundaries of North Carolina with some big talent. 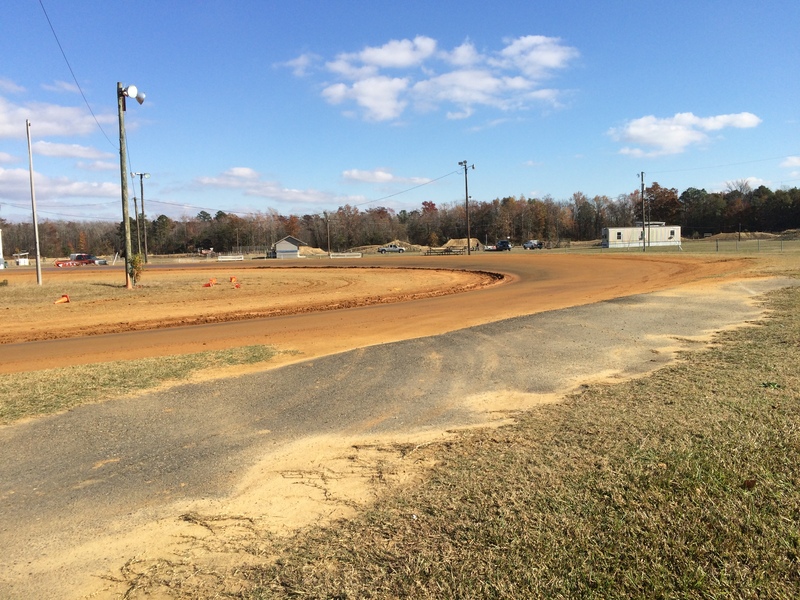 Albemarle Kart Club, run by president Doug Johnson, is a well-groomed dirt kart track nestled within the Dixieland Motor Speedway Complex. Albemarle runs their program on Saturday’s, under the lights, just like the “big shots!” I say that very lightly by the way because some of these young kids flat fly around that track! Some of you may remember last October I had the pleasure of running a few laps during the year-end ‘Fun Day’ event thanks to Amanda Frye Racing, and honestly fell in love. Take away that it was the first time in over ten years I was behind a legit wheel of any kind of race machine, running dirt was something I had never done before and grew a whole new level of respect for dirt racers. Couple that with the camaraderie between the racers and the amount of talent seen on the track! That made me want to go back every now and then to see a true race. Now this is not me saying that the weekly series I usually attend and cover is not some great racing, because then I would just be crazy! However it is nice to take a step back and enjoy the race, and the excitement the dirt adds. With that being said I want to branch out and bring some dirt kart racing to this site. These guys and girls deserve just as much attention as the Lee Pulliam’s & Johanna Long’s – mainly because they are the next big thing in racing! I will be adding a Karting section in the menu tab so you can follow along as I do my best to put these young drivers in the spot light they deserve! Albemarle recently released their 2015 season schedule, which can be found bellow or over on their Facebook page. Sticking with my idea of weekly racing I want to try to cover some of these races throughout the season. Bring everyone back to where they got their start, if they are a racer, as well as shine some light on the sport for those looking to get their kids started behind the wheel! The season officially will kick off the second weekend in March with the first points race, however there will be plenty of time to for drivers and crews to head down to shake karts, drivers, and mechanics down before the grueling eight month season is in full swing. Weather permitting the track will host two work days at the end of this month with an open practice scheduled March 7 and the first official race March 14th. Albemarle will also play host to a couple Virginia Dirt Kart Association (VDKA) races throughout the year (June 20 & Aug 1). These types of races attract 200+ teams from all over the region. 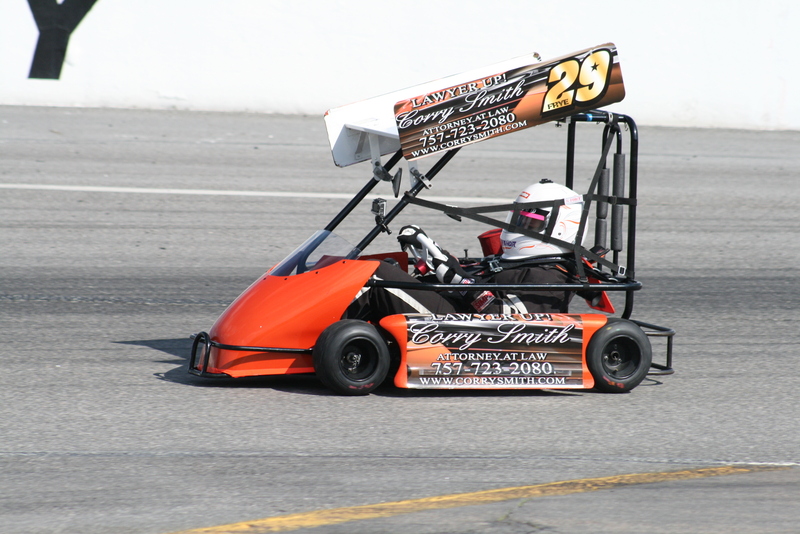 “[The] VDKA is a touring series much like the Whelen modified’s just with more classes,” Johnson tells The Weekly Racer. “They have 6 races a year at different tracks. The race at our track last year had 207 karts. To compare that to a normal race night, we have about 60 karts.” Running for separate points and prize money you can see why the event will attract so many teams. Albemarle will be closed on those dates the VDKA races are ran at Capital City & Brunswick to give their drivers a shot at the points. In addition the VDKA races, Johnson has added another attraction to the club – Sr. Champ Karts! Working closely with a few team owners and drivers from neighboring tracks, Johnson is creating a class just for them. These gentleman & ladies, fell in love with the track last year during a test/fun race that was set up with a few drivers from Langley Speedway. Now I am not familiar with all of the rules as I am understanding the committee is still working through those but all safety regulations – helmet, five point harness, neck protection, jacket – will pretty much stay the same. For those drivers that run asphalt that would like to give it a shot remember, no wing and some wider tires!